The world's biggest movie star in 1963 had chalets and villas and apartments in the best neighborhoods: Geneva, Kensington, Rome, the Village, Hollywood, on the shores of the Mediterranean. All of her living spaces reflected her marvelous style and spirit. For his Winter Design Line, Daniel Donnelly created a series of miniature mid-century ceramic furniture as an adornment or talking piece for clients who choose to live in similar style. You can see the entire line by clicking on the button below. 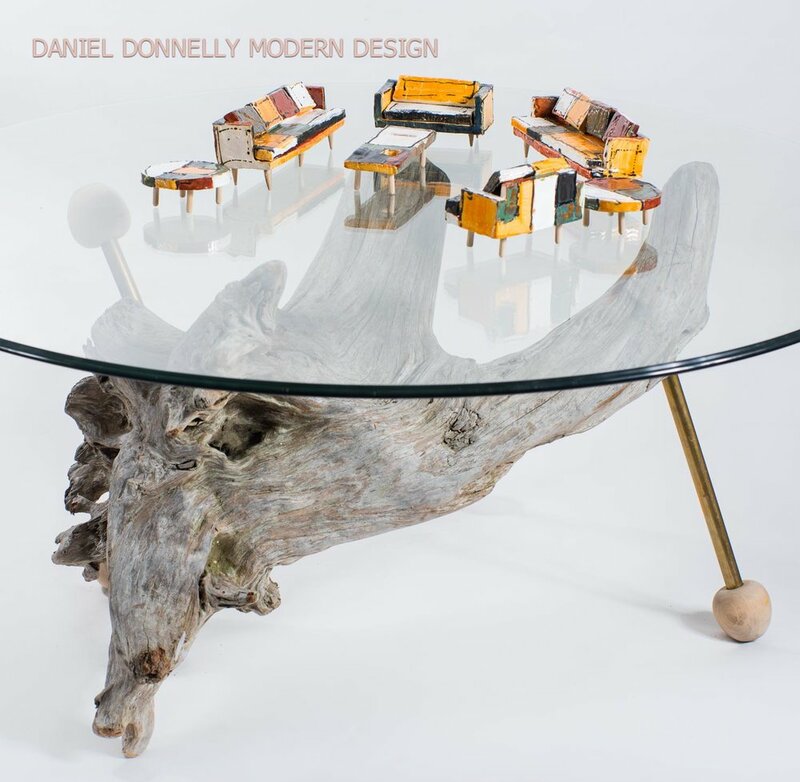 For years, Donnelly has been creating ultra-tiny objets de art in clay and ceramics, depicting art deco designs, midcentury modern furnishings, and Mediterranean antiquities. A small collection of these objects come with each purchase of the Miniature Ceramics Furniture pieces, whether these pieces are bought as collections or as single stand-alone items. The ultra-tiny objets d'Art range from replications of wine ampules from wrecks off the coasts of Turkey and Cyprus, to Chinese bowls and early American vases. You can see all of Daniel's ceramic objets d'art in the link below.